As the Chinese Ministry of Education continues its policy of reform, this boutique conference has been designed to attract interested practitioners of Special Education from around the world to meet with their Chinese peers to discuss practical and innovative approaches to hasten the reform in this often overlooked and misunderstood sector. Invitations have been extended to government organizations, schools, colleges and NGO’s with the intent of attracting a diverse cross-section of Special Education providers to this hands-on event. The organizers goals are to forge international links that will encourage not only further dialogue but also be the catalyst for increased transnational partnerships. 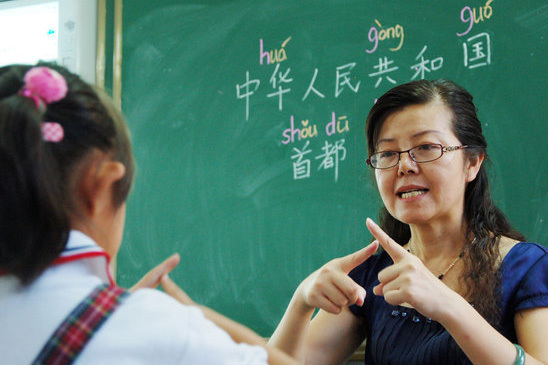 The Special Needs Conference has been convened by the Chinese Society of Education’s Special Education Unit, a department under the direction of the Chinese Ministry of Education, in partnership with international project developer RHT Education. CSE and RHT operate programs with North America, the UK, Australia and mainland Europe. Attendees will be divided into small groups and will spend one full day familiarizing themselves with a Chinese Special Education program school. This includes an in-depth discussion with the school leadership and a transparent view of the Chinese system at work. A campus tour and meeting with the leadership of the Beijing Union University, one of China’s leading training sources for Special Education teachers. Local experts will guide the groups through a learning pathway of the Chinese education structure and group session will follow visitations to allow participants to share their experiences. The organizers are finalizing a group of world-renowned experts on Special Education reform who will provide practical insights from both an international and Chinese perspective. There will be four key notes, two from China and two from abroad. There are ample opportunities for all the participants to meet each other and their Chinese peers. Apart from a number of networking events in the evenings, there is also a session planned specifically for building engagement strategies between the various attendees. Interspersed between the formal events are a range of cultural activities which will provide participants with an insight into both the ancient and modern China. Some of the world’s most iconic sites and tastes will be on display providing the backdrop to the Conference itself. To register for the Conference please complete the Registration Form that can be found by clicking here and follow the instructions. On acceptance of the registration you will receive a confirmation kit that will trigger the Visa application. Each passport must have at least six months validity on it when you apply for a visa. Attendees will be provided with all the required visa documentation and instructions. After the visa has been approved and all pre-departure checks have been completed, they will be ready to fly to China. On arrival in China participants will be greeted at the airport and taken to the Conference hotel. There they will receive a preliminary briefing.